I made a pact that I would not give into the premature celebration of Christmas before the month of December arrived. The pumpkins were barely carved before the shelves were lined with mistletoe and sleigh bells. What can you do about it, though?! Long story short, I chickened out and got into the Christmas spirit before I even took a bite of Thanksgiving turkey. Gobble, Gobble, Ho, Ho, Ho, I guess. To my defense, there is no way I could back my way out of the opportunity to attend one of the coolest (pun intended) family-fun attractions in the DC Metro area known as – ICE! (resist the urge to sing ICE! ICE! Baby!, but do follow hashtag #iceicebabygn on your social networks). 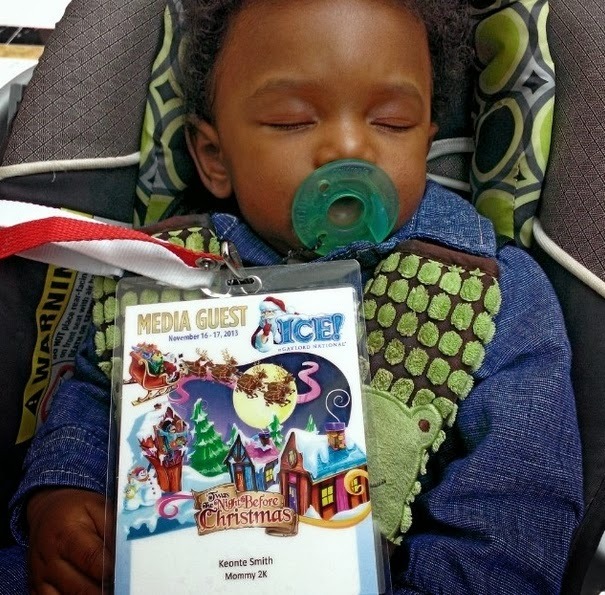 This year was a bit different – I have a baby boy now. Last year, he was along for the ride, but in my belly. I thought that he could experience the chilly fun with the family. Can you believe they have blue parkas for his size? They do! So, if you're comfortable bringing your infant, do it! Just make sure you bundle them up, bring some mittens (or socks for the hands) and something to cover the cheeks, like a scarf or face mask. This is the only part of my little man's face that got cold and part of the reason why I zipped through ICE more quickly this time. ICE! is open from now until January 5, 2014. Look for the large white tent in a new location. The ICE! tent is now located on the hotel’s riverfront garden - RiverView Terrace. Enter from the main lobby or ballroom levels. Included in the theme this year is a special Christmas in NY section. It features some noticeable sculptures that are New York themed. I especially enjoyed the taxi cab because there is a seat built inside for a perfect photo opportunity. And of course there is the scene depicting The Rink At Rockefeller Center. But we all know what the biggest thrill of all is at ICE! (at least for my family) – the two-story ice slide. The children had a bit of difficulty getting down the slide this year. It required a little more wiggling on their part. Perhaps the slide needs a few more warm bodies and infamous blue parkas to melt the ice a bit. Still, this is always one of the highlights during a visit to ICE! Be sure you read all of the SLIDE RULES so that you are not surprised when you arrive. The ending is always so magical and serene. Even without the vibrant colors in the ice, the display is beautiful. Now, let's talk pricing. You know the frugal part of me wants to cringe when I see these prices. However, if you view it as a memory-making opportunity with the family, consider it an investment. You may want to check online for specials and visit deal sites frequently (Living Social has a deal as of 11/18). Be sure to check the site for more details on pricing and to view a calendar for the hours of operation. *Prices subject to taxes and handling fees. What to Wear: This is a bit tricky. Everyone has their own level of comfort when it comes to the temperature setting. If I had to recommend one thing, it would be to bring a pair of gloves. My hands are always the first thing to start freezing when I visit, mostly due to the fact that I like to take pictures and gloves don't work with my smartphone (I upgraded to a pair that work with touch screens). A scarf to cover your face, or some type of mask would work if your cheeks get cold easily. Everyone is provided a parka with a hood to wear on top of your clothing. These keep you relatively warm. The temperature inside of ICE! is 9 degrees. Brrrrr!!! When your family is done with the ICE! attraction, there is plenty more to do at Gaylord National. 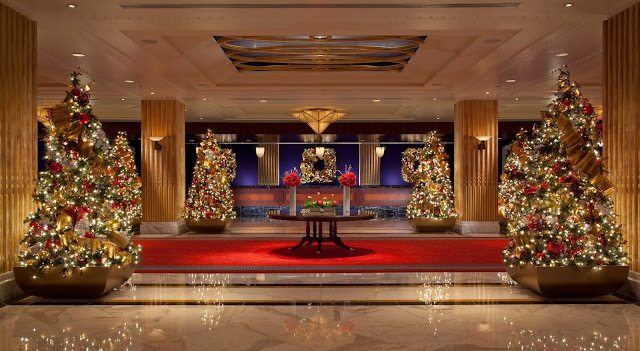 The hotel is beautiful, especially during the holidays and Christmas time. Your family will enjoy the spectacular views and scenic backdrops from every angle of the hotel. I especially enjoy the lobby and all of the beautifully-decorate Christmas trees. You and the family can take in all the beauty while participating in other activities throughout Gaylord National (most activities include a fee, so check the site for more details). On the second floor, we continued the fun with Gingy's Gingerbread Decorating. Everyone knows how fun it can be to decorate a gingerbread house with yummy treats, make a big mess and lick your fingers while doing it all. Kaden and Saniyah did just that as Liam tried to get his hands on every piece of candy on the table. 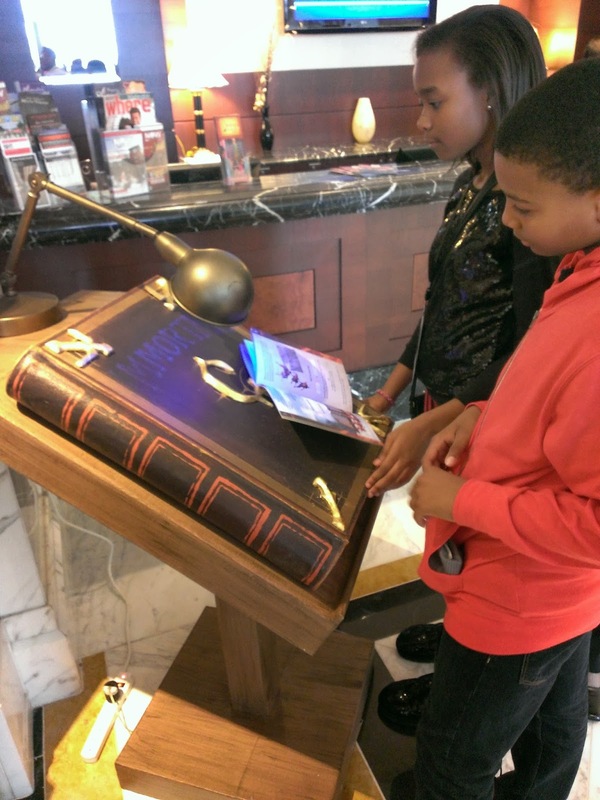 We started the DreamWorks All-Star Adventure Scavenger Hunt, but never quite finished. This is a wonderful team activity that the entire family can participate in. It will take you for an adventure around the hotel and you'll get a ton of exercise doing it. 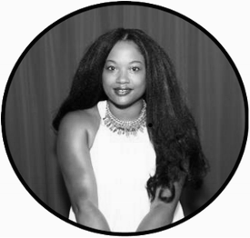 Choo-choo (in my bext Alexis voice – she was awesome and works at this location)! 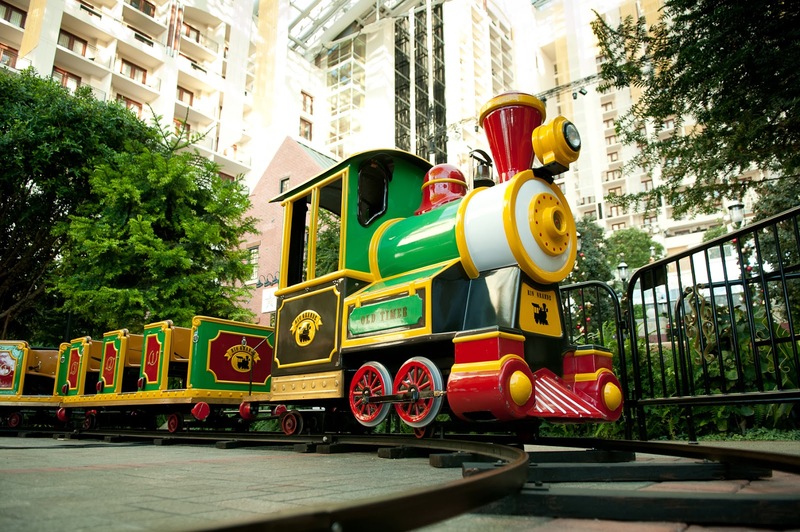 Be sure you stop by to take a train ride on the PEEPS & COMPANY® Potomac Express. The children rode around once before the lights show started, but hopped off so that they could get a front-seat to all the action around the water fountain. Apparently, they were "too cool" for the train. My son said it was a tight squeeze and older children need their own cart. Normally, we grab at bite to eat at National Pastime Sports Bar and Grill in the midst of all the family fun. It was closed for a private party during the time we were at the hotel so we didn't get a chance to stop in. Luckily, there are a few other dining options within the hotel to choose from (and several outside of hotel, in the National Harbor). If you and your family plan on being there for a short period of time, I would suggest packing a few light snacks to enjoy while you're sitting in the atrium taking in all of the views. 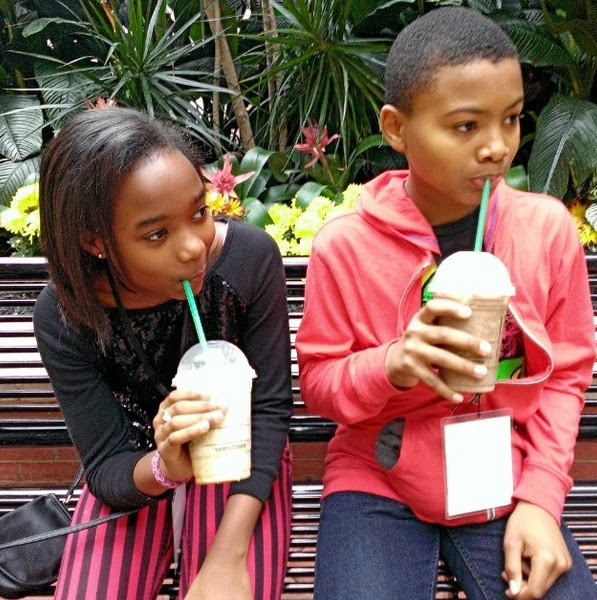 The children just grabbed frappuccinos from Starbucks to hold them over. Timing is everything when deciding when to arrive for all of the festivities. We arrived around 2 PM and managed to accomplish all of our activities in 4 hours. Of course, there were bathroom breaks and moments of downtime. But for the most part, we were always doing something. By the time the skies fell dark, the backdrop was perfect for the lights show and all of the lovely decorations to illuminate throughout the space. 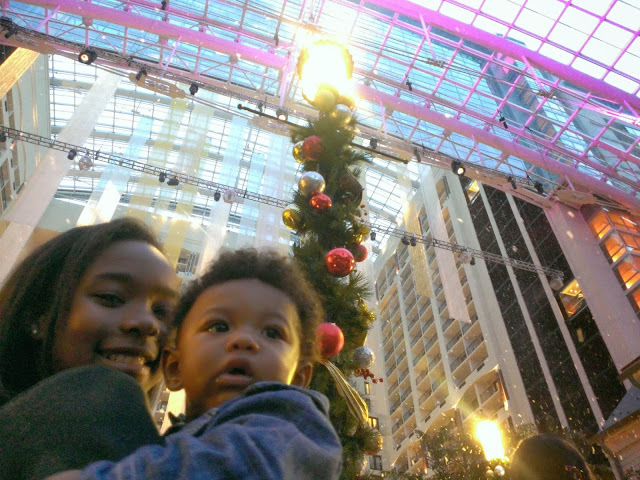 If you're looking for something special to treat your children to this holiday season, I would suggest spending a night at Gaylord National to experience Christmas on the Potomac. 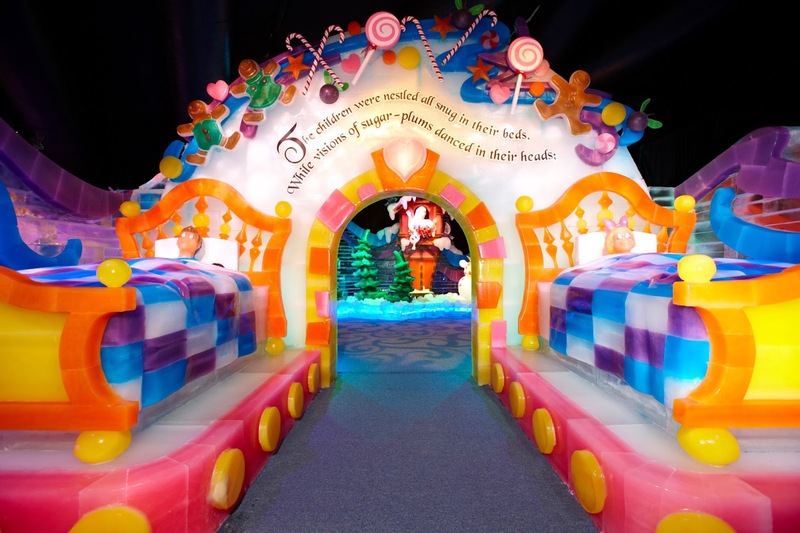 You're going to need some sleep after you experience all of the magic that happens under one roof (including indoor snowfall). Even Liam could not hang. DO NOT FORGET TO BRING YOUR CAMERA...and BE SOCIAL!! 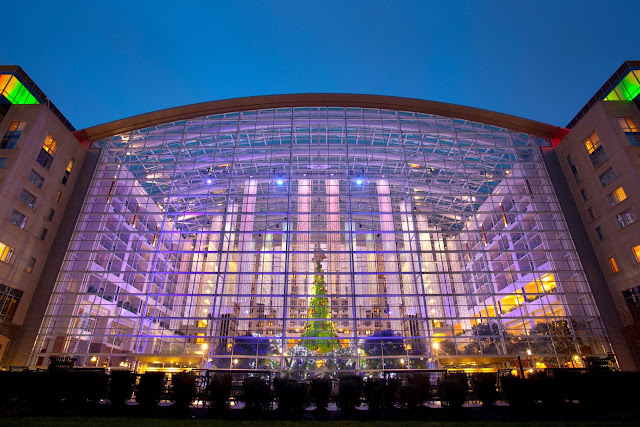 Follow @GaylordNational on Twitter and on Facebook. 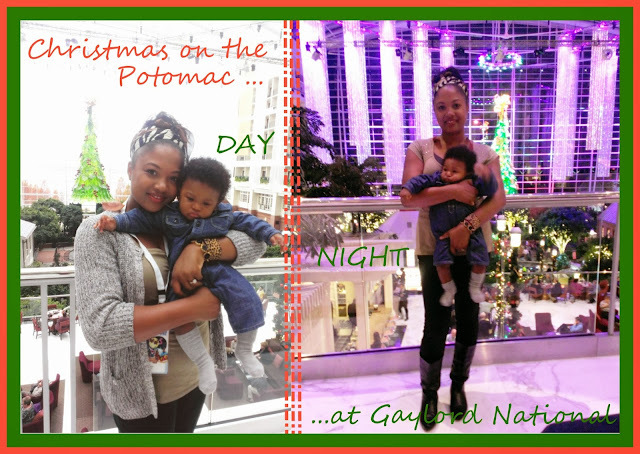 My family and I were provided complimentary tickets to several of the attractions/activities at Gaylord National. There was no monetary compensation for writing this post. The opinions and views are my own.